In all were made screenshot special software to capture the image or by pressing the Print Screenin the end, it remains a common file stored on a local or removable drive. Therefore, to delete a screenshot you need just like any other file. 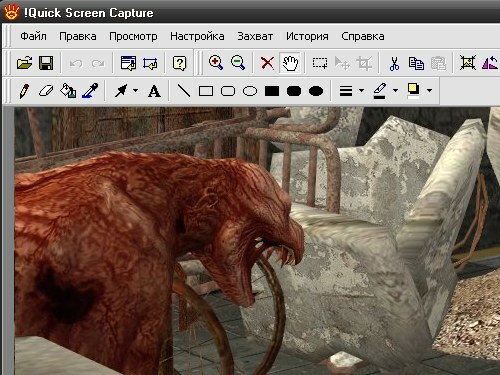 Navigate to the folder where you saved the screenshot, select the desired file with the mouse and press the Delete key. Confirm the command by answering Yes to the question, using the mouse or the Enter key. Alternatively, move the cursor to the desired file, click right mouse button. In the drop-down menu, click "Delete" and confirm your choice. The screenshot will be moved to the recycle Bin. To permanently delete a screenshot, open "Basket", choose the file, click right mouse button and select from the dropdown menu the command "Delete". To the system request to confirm the deletion, answer Yes. To delete all the files from the Recycle bin, click "empty trash" and confirm your choice. In programs for image capture has its own menu, which you can use to remove the screenshots. For example, Quick Screen Capture: run the application. The program window is divided into three areas: the menu, the screenshot and links to all screenshots taken with a program stored in a separate folder.In the bottom of the window select the image url in the top line menu, select "History". In the drop-down menu, click on the "Delete selected files" or right click the mouse on the highlighted link and select the same command from the drop-down menu. If you set the screenshot as the theme of the "Desktop", click the right mouse button in any empty space on "Desktop". In the drop-down menu, select "Properties". In the dialog box "display Properties" click the tab "desktop" and "Wallpaper" - select a different image. Click "Apply" and close the properties window. If you removed the screenshot from the folder where it was saved, this action is not required.